Since its establishment in 1949, Kurita Water Industries LTD. of Japan has accumulated a high level of technical expertise and know-how of water treatment technologies. Today, Kurita Group leverages these assets in a unique business portfolio that includes both chemicals and facilities to realize its corporate vision of becoming an advanced water and environmental management company. 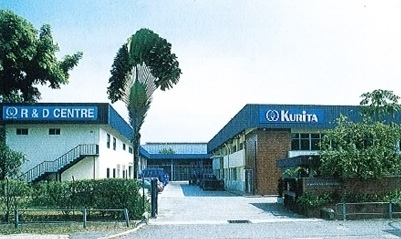 KURITA (SINGAPORE) PTE. LTD. was established as wholly-owned subsidiary of KWI in 1978. KURITA (SINGAPORE) PTE. LTD. attends to the needs of the world customers including Southeast Asian’s customers in every aspect of the water-treatment business. Kurita is a world leading water management company, which producting lot of water related products..
RO Chemical Catalog KURIVERTER Series provides remarkable solutions for various troubles with RO treatment process.